This figure assortment includes a beautiful Carrie, flower bouquet in hand, glamorous & elegant at the start of her prom night. 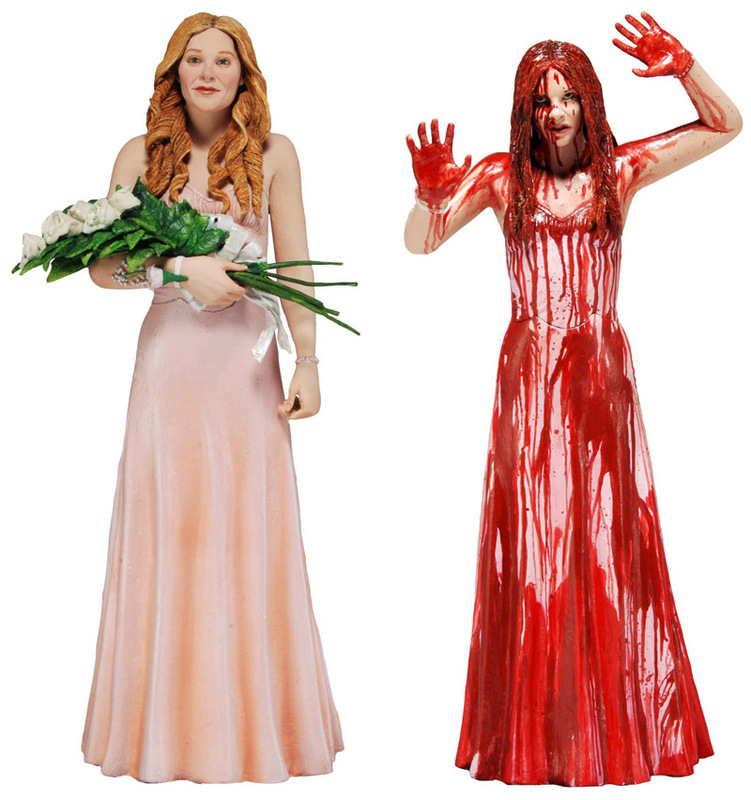 The second figure is Carrie as she unleashes her rage, covered in blood from head to toe. It’s a frightening sight to behold. Figures stand approx 6.5″ tall.